How the trip came about. Things you may need, or need to know. 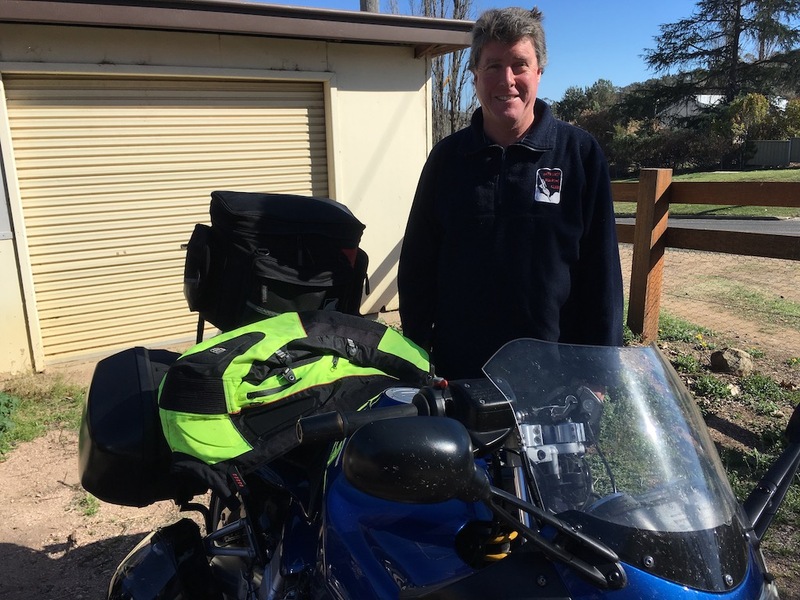 Day 1: Bathurst to Tallangatta via Wyangala, Harden, lunch at Tumut, and the highlight – Granya Gap. 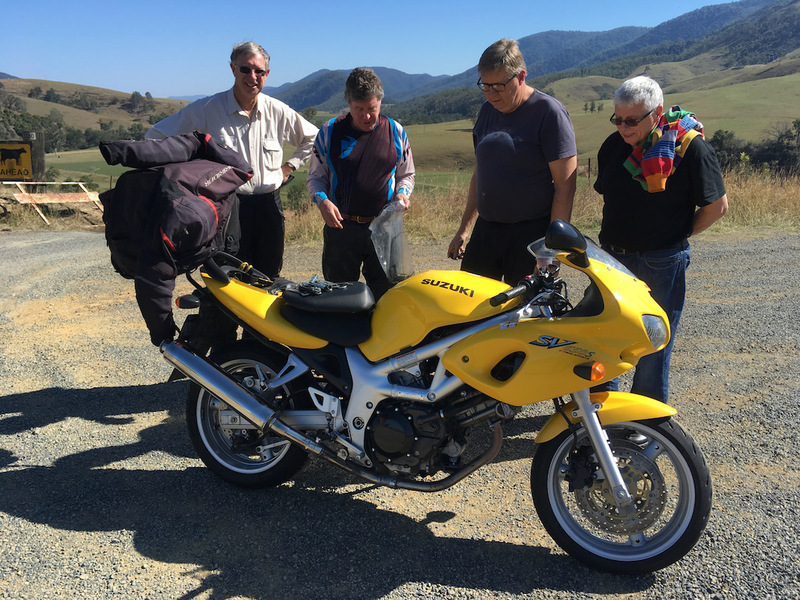 Day 2: The reason for the trip – a loop from Mt Beauty, Tawonga Gap, Bright, the two sides of Mt Hotham, and Omeo Highway. 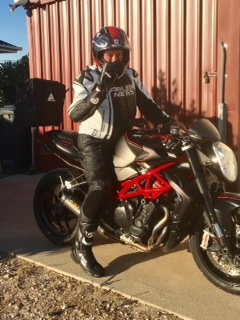 Having not been to Mt Hotham for many years, I’m anticipating a good ride…up the twisties, and down the fast sweepers. Overnight at Corryong. 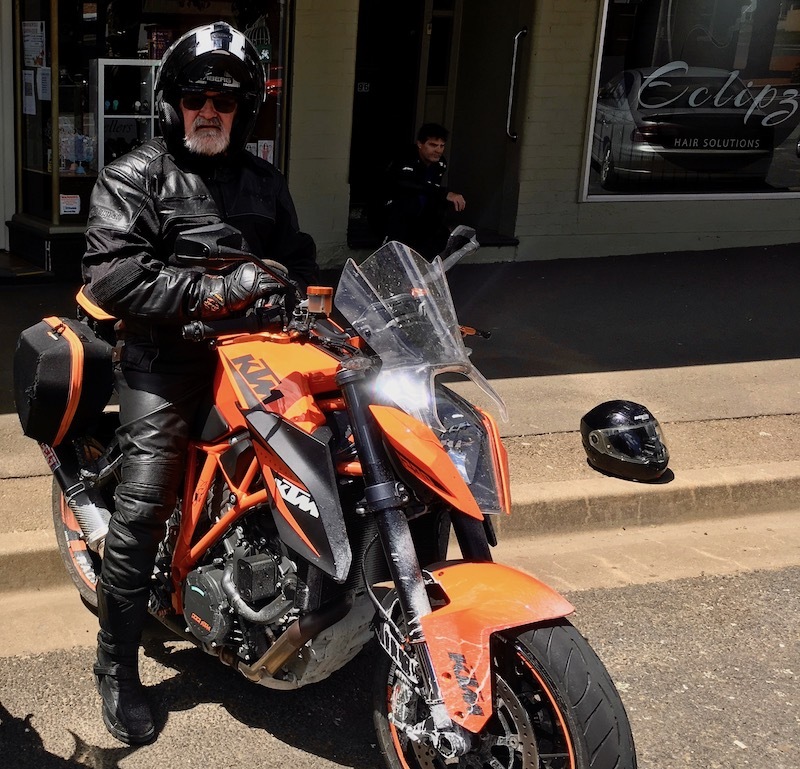 Day 3: Corryong to Bathurst via Tumbarumba, Adelong (for something different than the usual Tumut), Wallendbeen, Harden, Boorowa, Crookwell and Trunkey Creek. Neil and Willo in Tumut. Where next? The date of the trip is Nov 17 – 19.
the planned itinerary with a guideline to travel times, and distances to fill-ups, and locations of food and leg-stretch stops. Cue sheets for Day 1, Day 2, Day 3. These may be handy for those who traditionally go off the front, or tail at the back. Zero your trip meter at the beginning of each day, and the cue sheets will have when you make your next turn. it’s a Mens Health Ride — that is, men only. 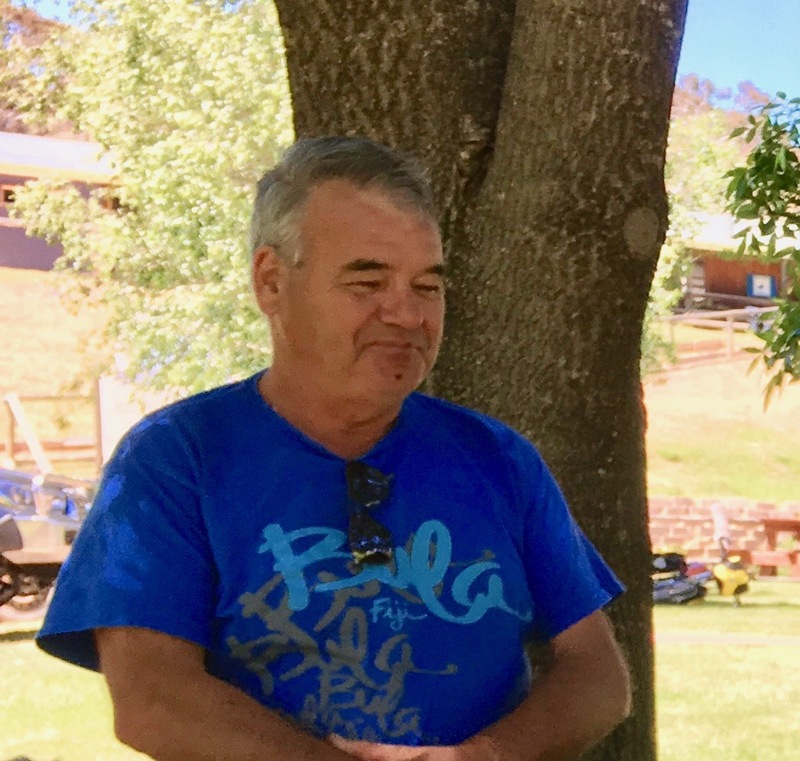 Day 1 – Tallangatta Hotel: Accommodation is very tight. 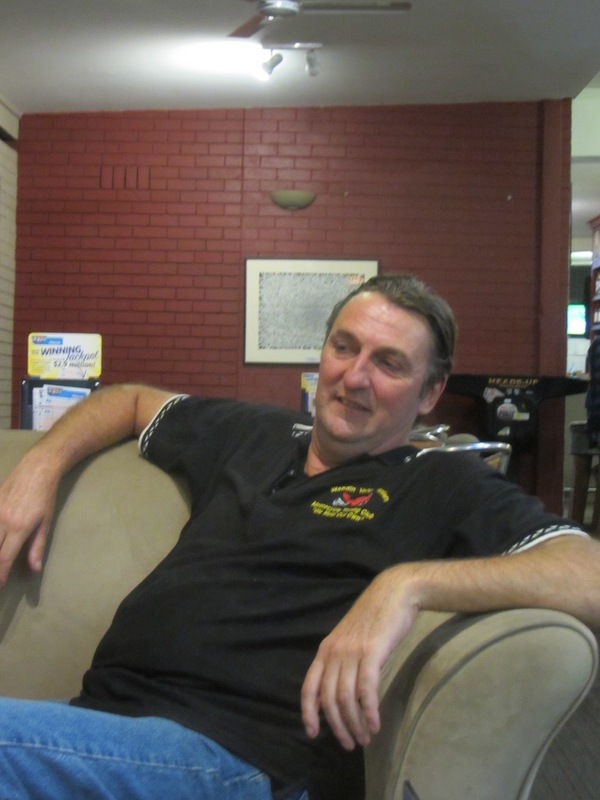 I’ve also used the Victoria Hotel for some of our accommodation at Tallangatta. The costs are the same, but the Tallangatta Hotel offers a continental breakfast. It is the luck of the draw as to who is staying at which hotel. As we’re leaving at 8am each morning, we’ll probably stop for morning tea somewhere. Download the PDF to see who is sharing with whom. 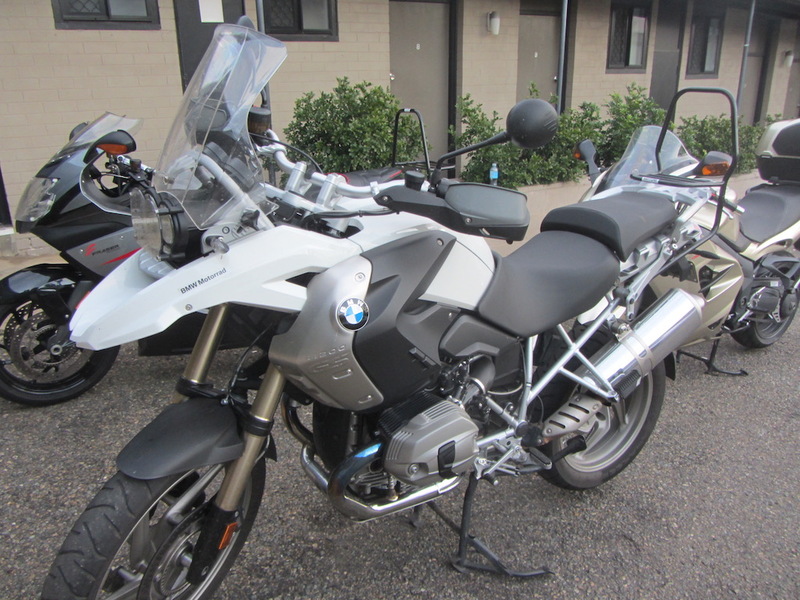 Day 2 – Corryong Hotel Motel: Includes a continental breakfast. A twin room will cost each person $47.50, and a triple room $50 per person. Download the same PDF to see who is sharing with whom. BTW, this accommodation is not recommended for future stays. They do not believe in goodwill — see below. Some maps showed that we could get onto the Hume Highway at Tumblong (coming from Adelong), while others showed we couldn’t. I phoned the tourist information centre at Tumut, and they were extremely helpful. 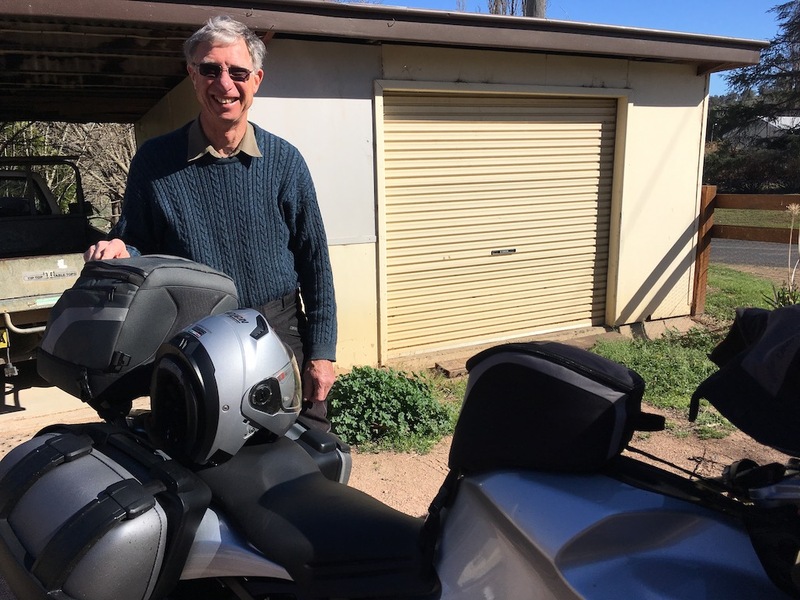 They explained that we can only turn towards Melbourne, but 500m along the Hume Highway, we can do a type of U turn and head back towards Gundagai, the way we want to go. An earlier version of this webpage indicated that we may travel from Omeo directly to Corryong. The proprietor at the Corryong Hotel/Motel indicated that the road contains a lot of poorly formed dirt. Hence, this option is off the table; we will stick to our original plan (at this stage!?) of taking the Omeo Highway from Omeo via Mitta Mitta to Tallangatta and on to Corryong. 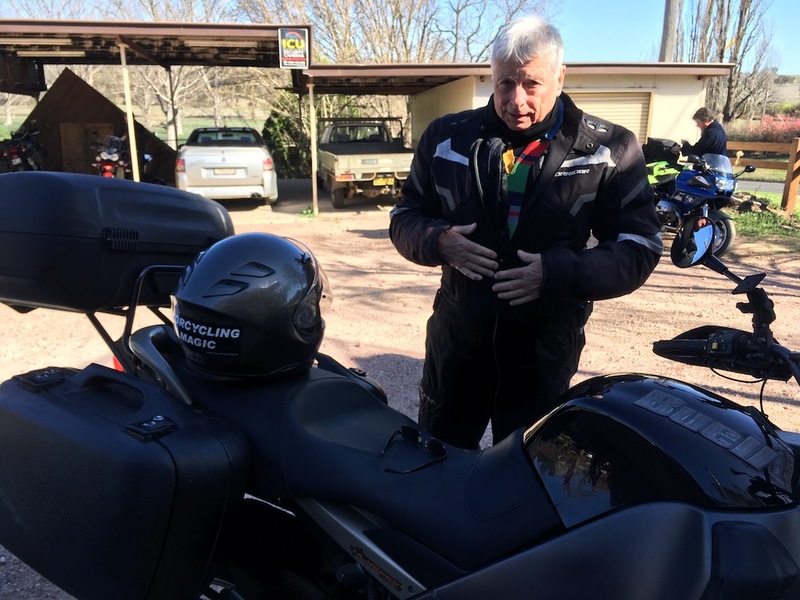 Peter G has also suggested that on Day 3 we take ‘a little piece of apple pie‘ to Adelong. It looks interesting and worth discussing at Corryong. There are no terms and conditions. This is a Men’s ride. Just HTFU! WVW rules apply! Peter G has his sh*t together. 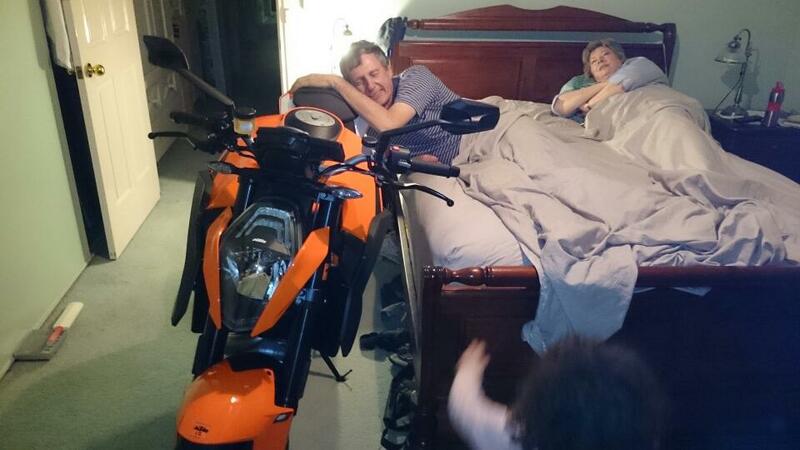 Neil Lumley probably on his Honda Africa Twin [Twin room] — there are rumours that Neil may be on his MT10 — see Nipper’s comments below. Neil means business! 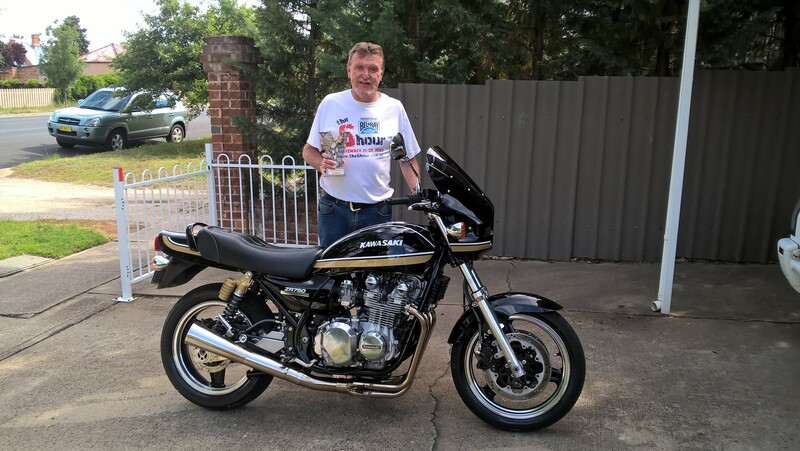 Barry Vincent on his Triumph Sprint GT1050 [Twin room] — there are rumours that Barry may turn up on a BMW S1000XR — see Nipper’s comments below. B1 – Jody Presbury as it turned out. 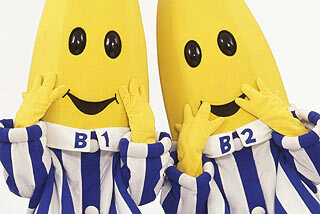 B2 – a figment, and did not exist. Was this the ‘fast’ corolla? Oh! No! There he is again! Peter G’s tyres after his style of attacking the corners. It is not necessary to change one’s underwear every day. Stafford is welcome any time — his ready supply of icy-cold water was a godsend. I’m glad I got an important issue off of my chest, that of being peeved to having to pay tax on my man pads. There’s Syrians lucky to be alive, Somalians lucky to get a scap to eat, Uyghers in detention camps, but this is a very important issue. I’m fully supportive of women fighting to remove the tampon tax. Just a little disappointed that on this odd occasion they only thought of themselves. The Corryong Hotel/Motel who, despite 13 of us drinking, eating and staying at the motel, refused to refund us the $50 for Shane not being able to stay that night (due to a sore knee). Do not stay in this place! The loose sheep, dead kangaroos, and goanna just short of Frogmore. The lowlife that reversed into Richard’s Beemer while we were in the café at Crookwell, and then drove off. 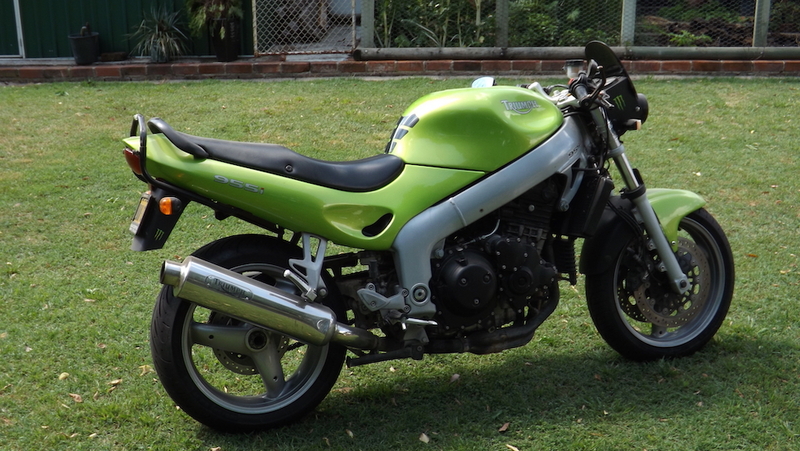 How only the front mudguard was the only thing damaged almost defied the laws of physics. Neil’s flu didn’t seem to slow him down much. It was good to see him pick up enough to have a scotch and whisky on our last night. 80kph speed limits cropping up everywhere there are good twisty roads. Shame! The thick and white roadworks that all of our nicely prepared bikes were coated with after Boorowa on Day 1, and just for good measure, before Boorowa on Day 3. The speed camera in a 40 zone in roadworks near Dinner Plain — on a Sunday; with no roadworks going on; with the road in tip-top condition. Revenue raising at it’s most blatant! Will we get letters in our letter boxes soon? Fingers crossed! 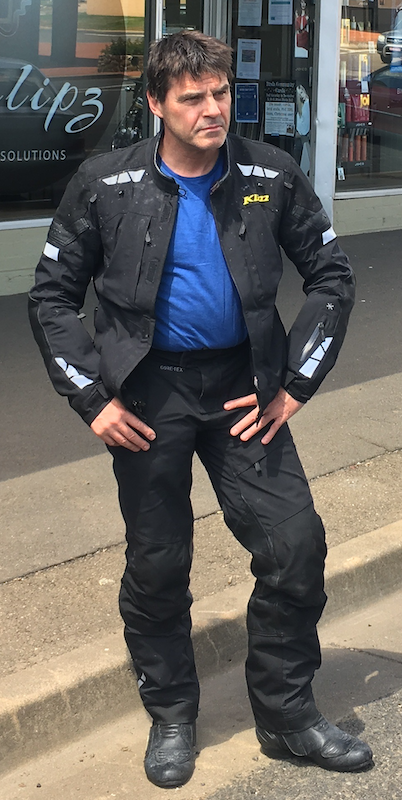 The bravery of Shamus to fight through his back pain over the Boorowa/Crookwell roads et al. The bravery of Willo to have more red wine the night after the night before! Unfortunately Nipper became ill and couldn’t make the ride. We had a drink for him on the first night and wish him well. 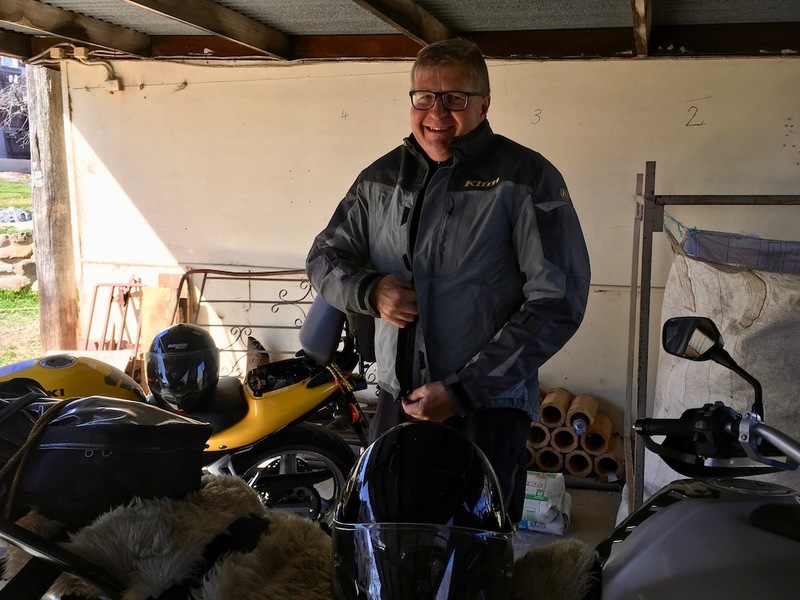 Our fearless leader took us 25km out of our way along the Snowy Mountains Highway instead of following Willo to Sylvia’s Gap Rd. Thanks to Shamus who is still talking to me after almost draining his tank dry. B2 was a figment, and did not arrive –> making 14 riders all up for the trip. 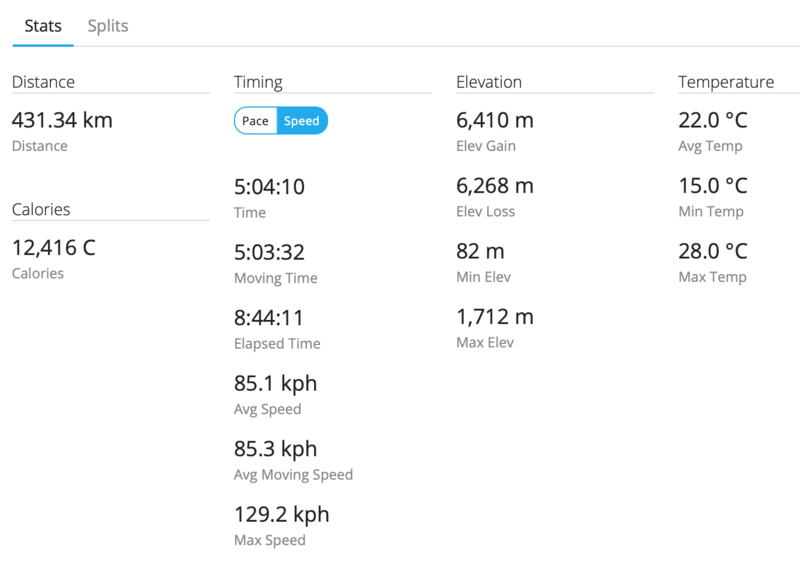 Thanks to Peter G for these stats. Word on the street is that WVW1 is bringing the MT01 out for a play! You lot will have to b on your A game if your going to keep up, fuel costs may keep him in sight though. This sounds serious! It’s been the Africa Twin the last few times I’ve been with Neil. Greg Pratt now has a new nickname, we call him Pot hole, best to avoid him! 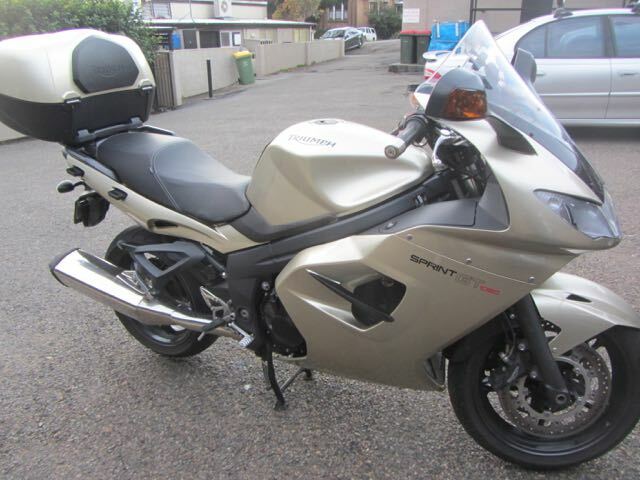 Barry Vincent has finally seen the light and bought himself a BMW S1000xr, let’s see how long it takes him to right this one off! Pozzie only has 2 points at the moment so please can you all not let him get in front of you, he has to stay at the back out of harms way! I would lend him some of my points but I’ve only got three myself. Interesting to know how Greg P got this new nickname. Has Barry bought the BMW because his old knees couldn’t cope with a beemer? Pozzie has points; Rob has points, Nipper has points. Could be some conservative riding down the fast sweepers of the Dinner Plain side of Mt Hotham. Hi Greg, I just noticed that the schedule is missing the time and place that everyone is having there prostate exam. I assumed that was why you where calling this a Men’s health ride, I know Willo is keen to give the doctor some flowers so as soon as you can please update (no pun intended) the schedule. We’re a pretty close bunch. I thought we could do our own examinations! BTW, a very clever pun (‘update’) Nipper. We wish Nipper the best of luck at Nepean Hospital. Good luck Nipper! We’ll be thinking of you this weekend. Enjoyed following Barry from midway of bends to Mitta Mitta, thinking how hard I was having to work to stay with him, watching how he brakes and gets on the throttle out of a turn picking the bike up to brake for a second before leaning in the opposite direction into the next corner and so on for twenty or thirty minutes with arms pumping from the heavy braking and suddenly realising I had a huge grin on my dial! 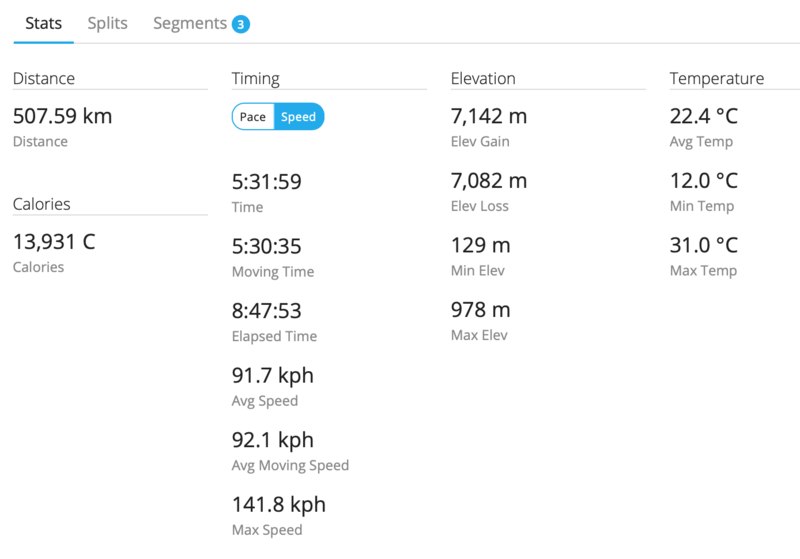 Speedo reads 10% fast which brings the distance total back to 1474 with average speed of 91.8. This brings it in line with yours Greg. And no. 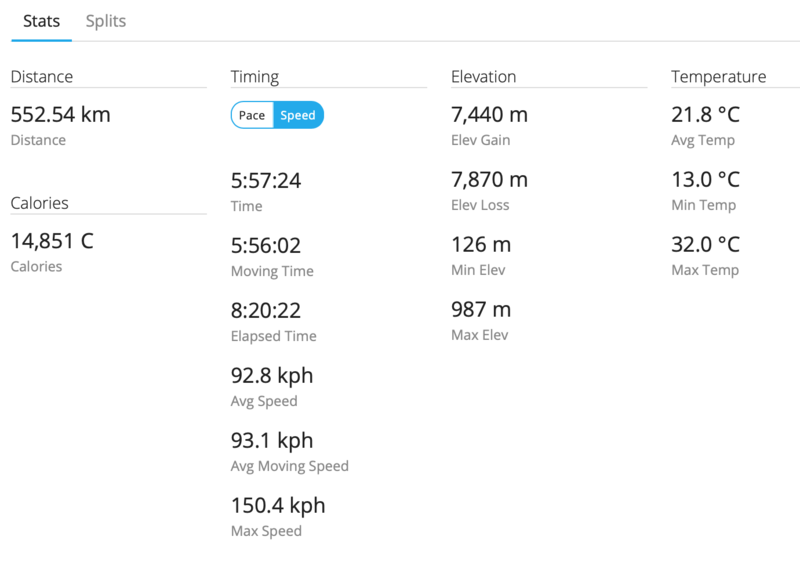 I didn’t have the front wheel in the air for 17 kilometres to match the discrepancy of distance. 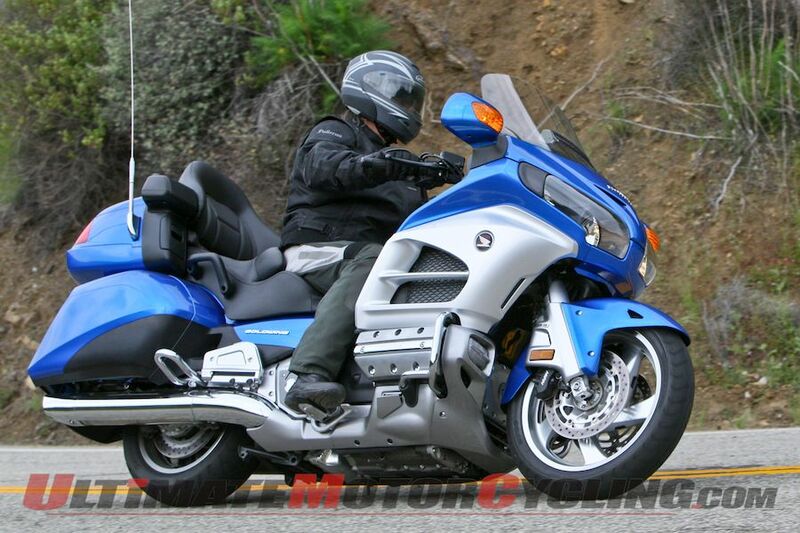 The way you accelerated out of the corners, I would not have been surprised to see your front wheel off the ground!? It may not be necessary to change your undies every day, but there IS an obligation to turn them inside out every other day, to ‘spread the load’. Or riders could go commando, but if the do, wearing shorts must be verboten and punishable by the kicking of any body parts making surprise appearances.